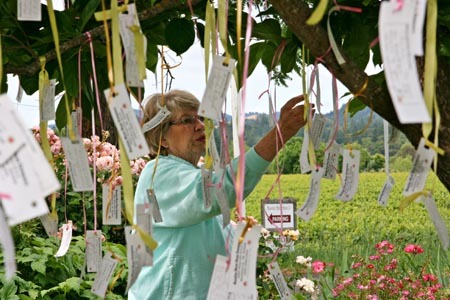 Sip a cup of organic tea as you enjoy the scents and sights of our beautiful Rose Display Garden, with its collection of 650 varieties of antique and modern roses, surrounded by the beautiful vineyards of Dry Creek Valley. Tables and chairs will be set out throughout the garden, so you may 'sit and sip' while watching butterflies and Hummingbirds flit and hum around you. Huge discounts. Our Nursery will be open and brimming with roses, and hummingbird and butterfly attracting plants. Estate-produced Rose Water and Rose Oil Perfume will also be available.